Background: One of the staples of the area, Port City has been a part of my beer life for quite some time now. 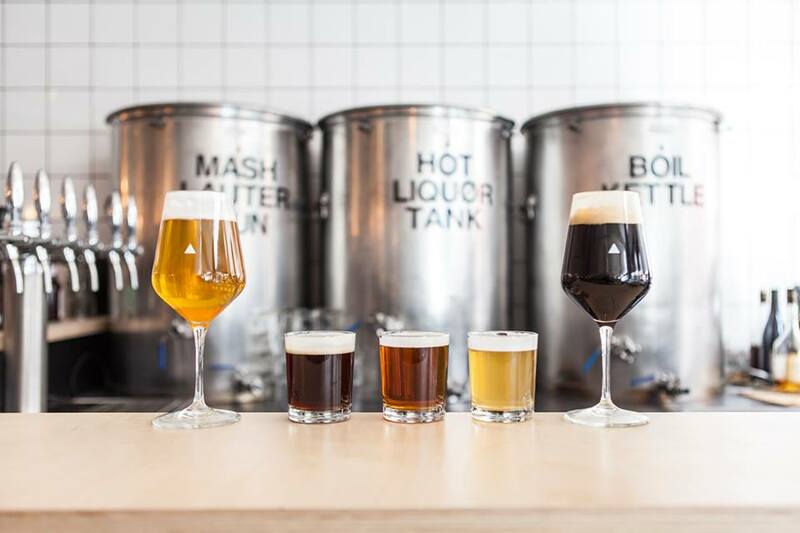 It’s one of the first craft breweries that I appreciated, largely due to their involvement in the local scene in everything from philanthropic sponsorship to hosting bar crawls. 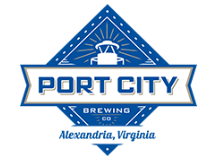 Port City has been holding it down across the river from DC in Alexandra for some time now and has the showcase of beer medals and awards to prove it. 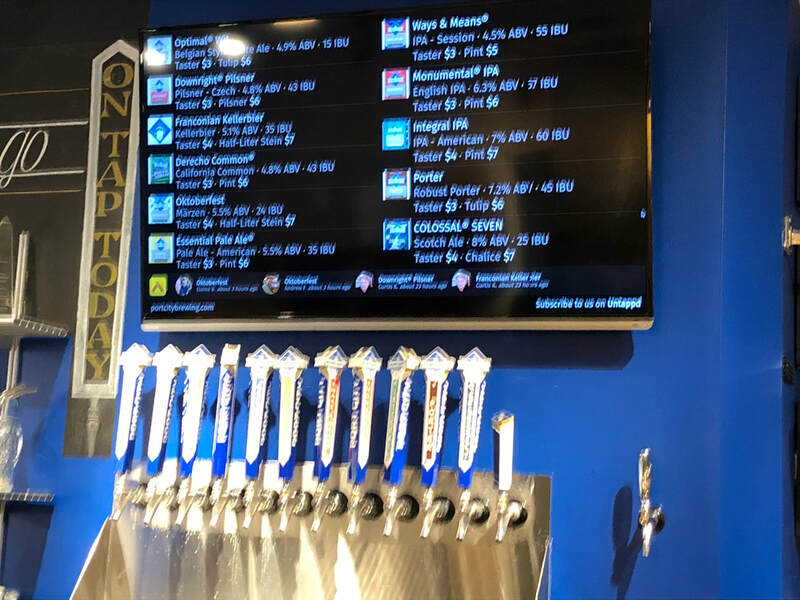 I had previously been limited to what gets distributed and is easy to find, but I recently had the chance to get over to their tap room and am now an even bigger fan. Growlers: Yes! Crowler, growler, retail bottles, whatever you’re looking for! Integral IPA - American IPA - this is the one I went for upon my sweaty, parched arrival. Really big hop profile with a very dry body makes this incredibly crisp. Went down much faster than I meant it to and was probably my top pick of the evening. Colossal Seven - Scotch Ale - Anniversary beer for 7 year mark. Another style that typically doesn’t land too well within my preferences but again impressed me. The flavor is huge here - mostly along the sweet dried fruit side of the spectrum with some roast coming through from the malt. Definitely a beer you’ve got to be in the mood for in my mind but impressive regardless. Vibe: I’m not sure why, but I expected the taproom to be more similar to an old school beer bar with a long wooden bar, a low ceiling, and not much in the way of light. I can happily say that I was quite wong. The room opens up to seating and a bar on each side of the main room. Only one was running while I was there but I can absolutely see how it would be beneficial to have an overflow tap setup for when it's more crowded. There’s also a back section that has some couches and a few high tops, plus some picnic table style outdoor seating areas. Everything in here is well done and very modern for the beer world. The bartops, the taps and signs, and even the wall art and neons all fit together really well. The modest branding that's found on their bottles definitely didn't have me expecting a taproom with floor to ceiling paintings of the area, stainless steel and video board tap systems, an array of artwork and a bunch of spots where brewery ambassadors from all over the country have left stickers and notes. There were signs posted for all sorts of events too, from seasonal releases to yoga classes to charity drives. Joggers and Lagers was one that I found particularly clever in naming and it almost made me even consider running sometime with the bribe of beer at the end. Lots going on, but still has a really tight local feel to it. Service was well above average during my visit. It was another brutally hot day and the first beertender I interacted with pointed me straight towards one of the fresh IPAs they had put on as a crisp summer beer. During a later round, I asked a particular brew and the fella, having poured a few for me and gotten reactions on those, actually pointed me in another direction and absolutely nailed it. Lots of respect for that kind of interaction and it really helps hone in on what their own folks really like coming off the tap. Dogs: Definitely in the outdoor space but I’m not sure about inside. To be honest, the inside space isn’t the greatest for dogs anyway since it's mostly high tops and primarily just a big room. Price ($ to $$$$$): $$. Slightly more affordable than average for where it is in my experience. Full pours of house beers start as low as $5 for a pint. Even the smaller batch or specialty stuff is very fair at $7-8 for a snifter size pour. Food: No kitchen here but their website does reference bringing in food trucks now and then. Final Thoughts: Really glad to have finally made it to Port City. It’s been part of my beer life for quite a long time and it was a lot of fun to try some of the stuff outside their core lineup. 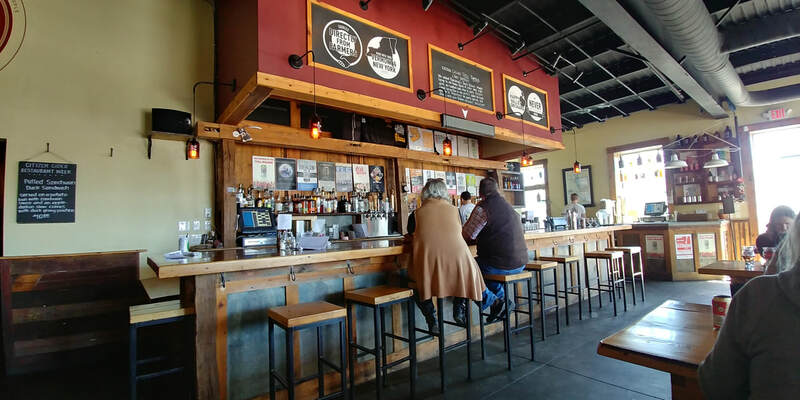 Like many non-city breweries, the location isn’t ideal for transit or to look at but the beer, vibe, service combo drastically outweighs those small details. 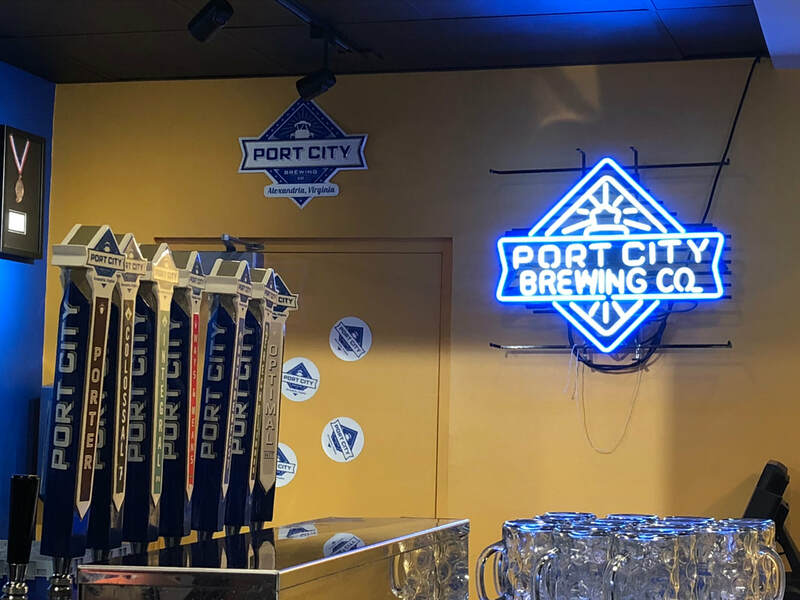 A staple of the the area beer scene, Port City is high on the list of places to call an easy go-to. Background: Citizen Cider is one of the most popular hard cider makers in New England. Located in Burlington, VT, the cidery has become known for producing a wide range of high-quality products. 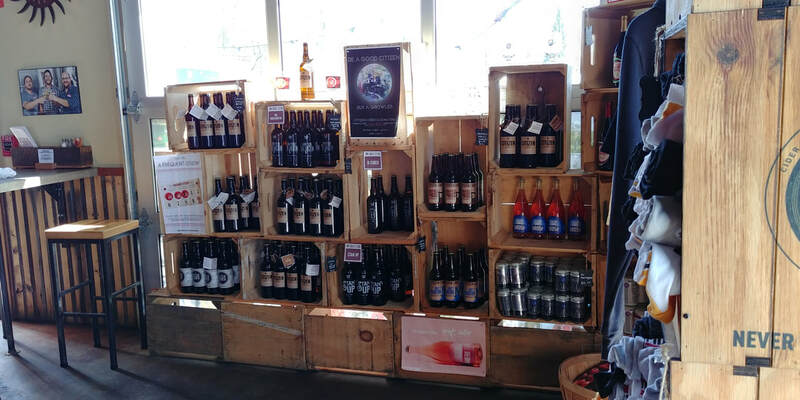 They’ve experimented with dry-hopped ciders, herbed ciders, sweet ciders, and dry ciders, and their distinctive cans and bottles have made it into bottle shops all over the region. I’ve dragged Alex, my poor fiancée, to brewery after brewery despite her gluten allergy, so when we realized we were just a few blocks from one of her favorite cideries, I was only too happy to pay Citizen Cider a visit. Golden Wit - Made with Belgian candi syrup and aged in French oak barrels, this cider picks up a surprising amount of Belgian character. Like a sweet, fruity interpretation of a witbier, this is a cider that will delight those who love Belgian beer. Although Belgians aren’t my personal favorite style, it’s hard not to respect how successful Citizen Cider was in achieving exactly the flavor profile the concept promises. Cash on the Barrel Head - I really enjoyed this cider. Designed to mimic white wine, it picks up a huge amount of sauvignon blanc character, giving it a grapey profile that plays really well. Although I sometimes struggle with wine-barrel-aged beers, the addition of wine elements to cider tend to work really well. Cash on the Barrel Head is no exception. The Full Nelson - The Full Nelson is, as its name suggests, a cider dry-hopped with copious amounts of Nelson hops. Like Cash on the Barrel Head, The Full Nelson turned my expectations upside down: while I’m not normally a fan of the famously tropical Nelson hop, I found that it complemented the cider really well. This might be my favorite cider we sampled. Tree Tapper - Made with maple syrup and fermented with red wine yeast, Tree Tapper is a fascinating combination of flavors. Infused with oak chips and Belgian candi syrup while aging, this is a cider that barely tastes like cider at all. I’m not sure it works--the maple syrup gets muddied a bit amidst the cacophony of other flavors swirling around here, but I respect the hell out of Citizen Cider for really going for it. 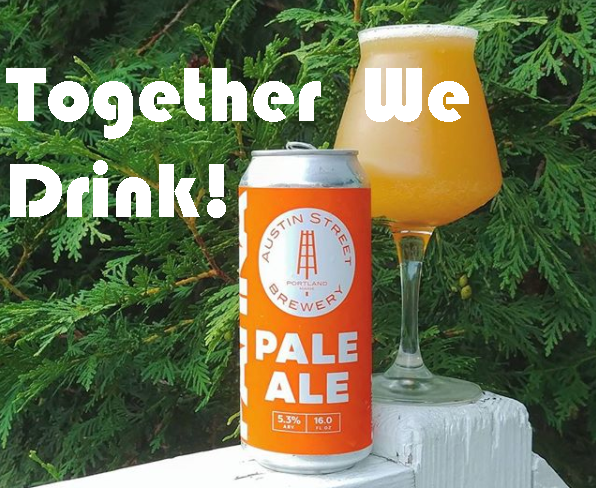 The Lake Hopper - A recent addition to Citizen Cider’s series of core offerings, The Lake Hopper is a love letter to locally sourced ingredients. Made with apples and hops from both sides of Lake Champlain, The Lake Hopper brings a refreshing Macintosh apple tartness to the tongue before tempering it with a straightforward and refreshing finish. It’s a cider you’ll reach for over and over again, and a welcome addition to the core series. Disco Inferno - Another fascinating combination of flavors, Disco Inferno crosses sour cherry elements with spices including cinnamon, cardamom, and vanilla bean. A hint of honey at the end adds just a touch of sweetness, giving the cider an extra layer of flavor. I’ve always been a fan of sour cherry in both beer and cider, but the vanilla is what really shines here, giving it a warm, rounded flavor element that permeates the beer. Tulsi - Citizen Cider isn’t afraid to really go all-in with their ciders, and Tulsi is perhaps the finest example of that. Tulsi, also known as “Holy Basil,” is an herb typically found on the Indian subcontinent. Citizen Cider was able to secure some locally grown tulsi and decided to experiment with the idea of a basil cider. And you know what? It works! The tulsi is just subtle enough that it doesn’t dominate the flavor profile, instead adding an herbal, earthy element that makes Tulsi a pleasure to drink. Vibe: Citizen Cider is a really cool place. Just a really cool place. The taproom has a great vibe, and while I can imagine it being a little claustrophobic during the winter, with the doors open and the deck full display, it was a beautiful sight to see. A mix of long tables and high-tops greets you when you walk in, along with a lengthy wooden bar for those just stopping in for a pint. The walls are adorned with all manner of photographs and artwork, and the industrial-style vibe of the space gives it an open, spacious feel. Exposed lights dangle from fixtures hanging from the ceiling, which I imagine must look very cool in the evening. Service was great--even though we moved around a bit to catch the sun, they never lost track of us. The staff was friendly, and both food and cider made their way to our table faster than I ever expected. The murmur of conversation that always seems to fill the space settles over you like a blanket, providing a warm, comforting sense of belonging. With dozens of people there enjoying a refreshing cider on a beautiful day, Citizen Cider can’t help but feel friendly and welcoming. Dogs: Yes! We saw more than half a dozen dogs traipsing through the taproom while we were there. 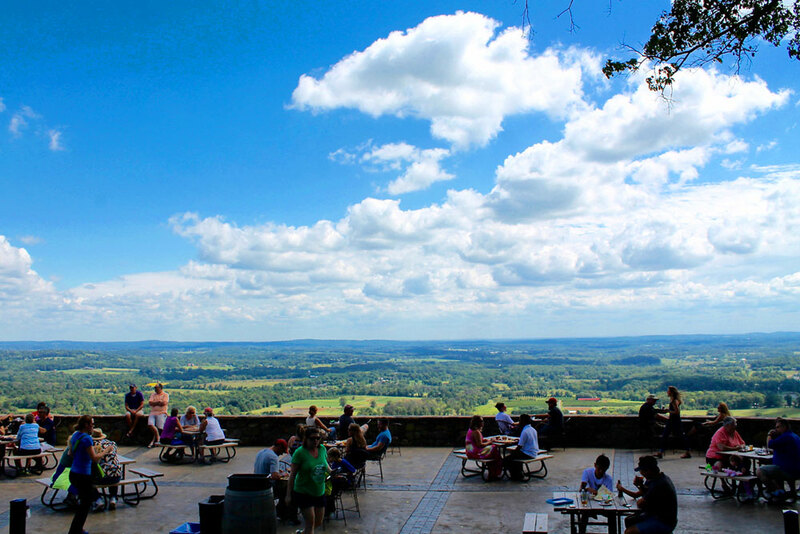 We were lucky enough to visit on a beautiful spring day, so many people were out and about with their furry friends. Price ($ to $$$$$): $$. 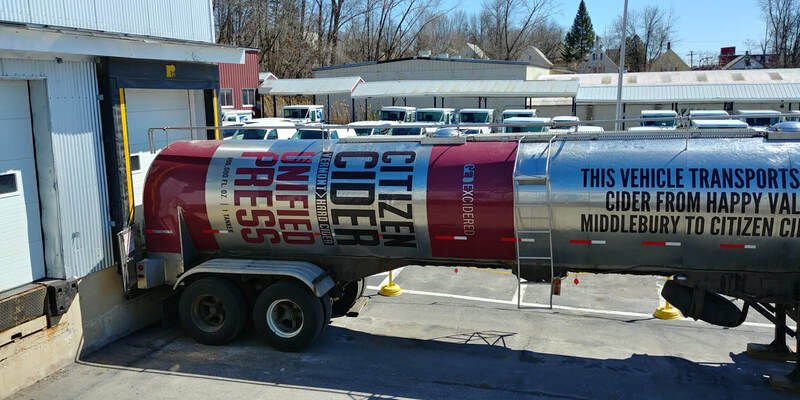 If you’re just stopping in for a flight or a pint, Citizen Cider definitely isn’t going to break the bank. Even their takeaway cans and bottles are very reasonably priced, considering how expensive craft beer and cider has gotten. 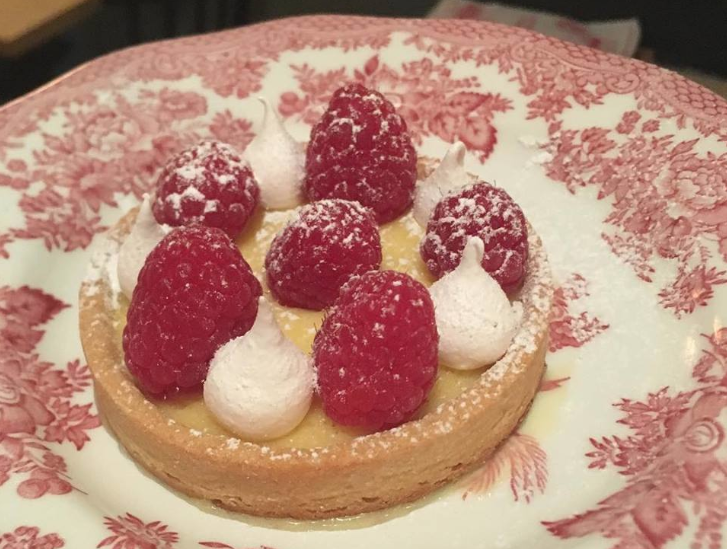 But be warned--you may find yourself unable to resist their amazing food. Food: Yes. Oh, yes. Citizen Cider has a full food menu, and you would be doing yourself a disservice to not at least sample some of what they have on offer. From starters and sandwiches to entree-sized meals, Citizen Cider offers a ton of different options to choose from. 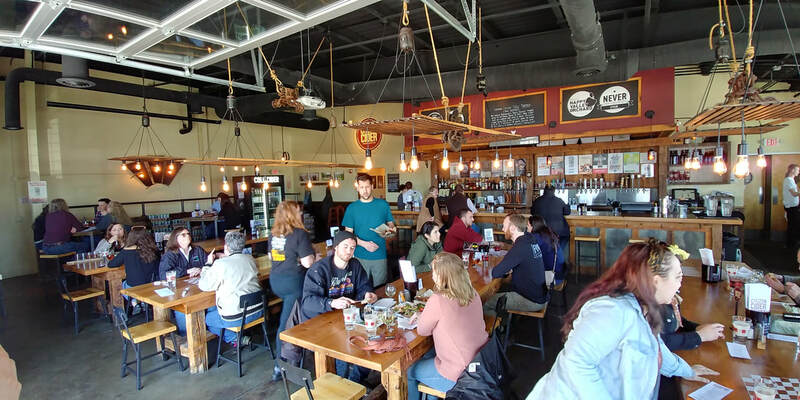 We only snacked on a couple of (delicious) sides during our time there, but the entire taproom was filled with the smell of delicious food that left us wishing we had stopped by earlier for lunch. 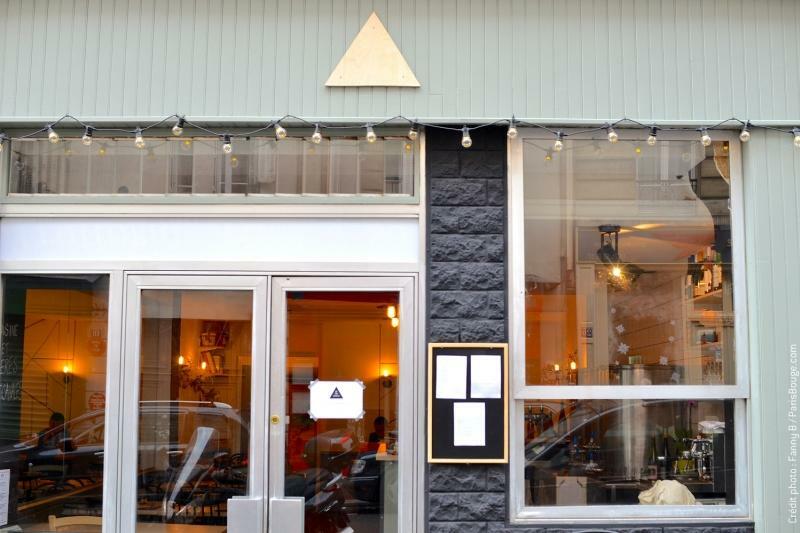 Final Thoughts: If you love cider, you owe it to yourself to pay Citizen Cider a visit. 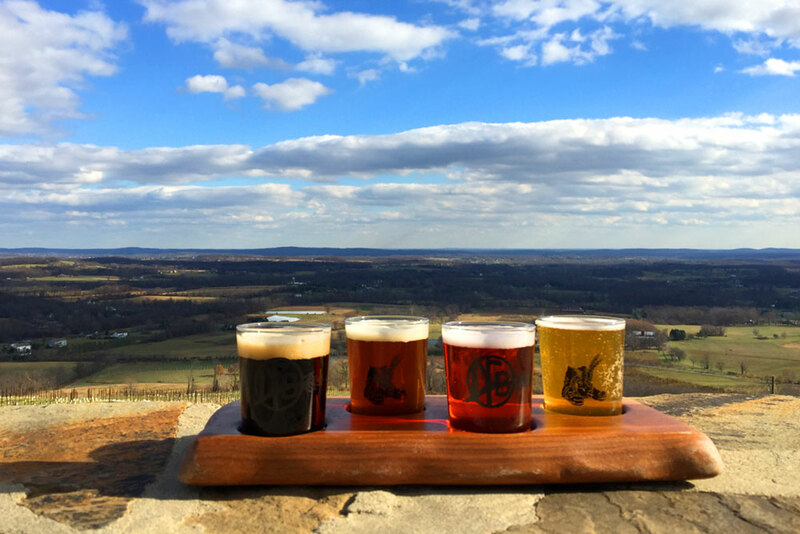 Their impressively broad array of ciders ensures that there’s something for everyone, and even those who don’t typically gravitate toward cider will likely find something that appeals to their palate here. Whether you love cherries, basil, ginger, maple syrup, or a variety of different hops, Citizen Cider stands ready to satisfy.